Head Injury – injury to the skull, scalp, face etc. The educational resources, supports and services found on our website focus on acquired brain injuries (ABIs) and their various forms. 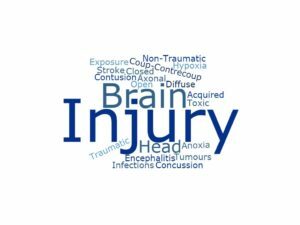 Acquired Brain Injury (ABI) is an umbrella term used to describe a variety of different brain injuries. Click the plus symbols below to read the definitions. In this series of video Dr. Jennifer Yao describes some of the causes of traumatic brain injury (TBI) and what may happen to the brain as a result of the TBI. Learn about how factors such as age, severity of injury, pre-existing health conditions as well as having good social supports can impact outcomes. Learn the difference between a mild, moderate and severe traumatic brain injury. Dr. Jennifer Yao is a UBC Clinical Assistant Professor and works on the Acquired Brain Injury Program and the Adolescent Young Adult Program at GF Strong Rehab Centre. Dr. Yao also serves as a consulting physiatrist at Vancouver Hospital. Her clinical and research interests include stroke and brain injury rehabilitation and cancer rehabilitation. She is an active member of the Canadian Association of Physical Medicine and Rehabilitation. The BC Cancer Agency links you to websites with information about brain tumours and cancers that affect the Central Nervous System. Brainline is a site from the United States that provides a full range of information about traumatic brain injury. 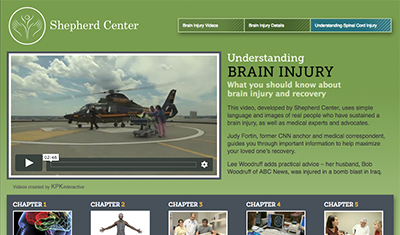 www.braininjury101.org contains videos that cover the basics of the brain and brain injury – produced by Shepherd Center and KPKinteractive in collaboration with the American Trauma Society, the Brain Injury Association of America and the Christopher & Dana Reeve Foundation.